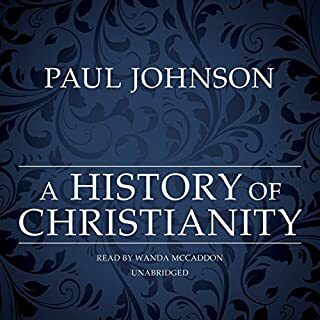 First published in 1976, Paul Johnson's exceptional study of Christianity has been loved and widely hailed for its intensive research, writing, and magnitude. Weaving a great range of material, the scholar and author Johnson creates an ambitious panoramic overview of the evolution of the Western world since the founding of a little-known "Jesus sect". Read Brant Pitre's the case for Jesus instead. Since the time of Voltaire and Rousseau, the secular intellectual has increasingly filled the vacuum left by the decline of the cleric and assumed the functions of moral mentor and critic of mankind. This fascinating portrait of the minds that have shaped the modern world examines the moral credentials of those whose thoughts have influenced humanity. This is an extraordinary chronicle of the fifteen years, 1815–1830, that laid the foundations of modern society. It is a history of people, ideas, politics, manners, morals, economics, art, science and technology, diplomacy, business and commerce, literature, and revolution. This is a provocative and panoramic survey of 2,000 years of English history. 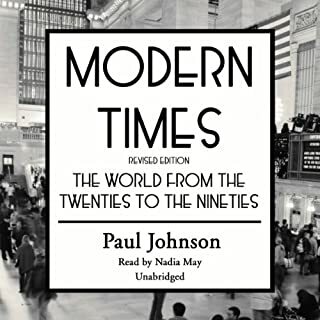 Johnson tells the story of how a small nation, living in a geographical backwater, developed unique economic and political institutions, expanded its territory, and saddled upon it the frame of a modern industrial society. ©1997 Paul Johnson (P)1998 Blackstone Audio, Inc. Absolutely wonderful. Covers history of the US from the first English settlers through the middle of the 1990s when the book was written. Very well read by Nadia May whose clear voice and pronunciation I found suited the book very well. 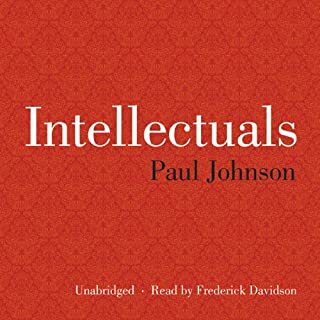 One of the things I found most interesting is that Mr Johnson covers not only the facts but also the background philosophical views at the time as they pertain to the issues being covered. Thus Emerson and others come up not only as poet or writer, but also how their views supported or ran contrary to the then current American thinking. While I found the entire book fascinating and full of nuggets of information I did not already know I found the treatment of the 20th century most interesting. Johnson's view of the years from Coolidge through Nixon is at odds with the views prevalent 30 years ago, but he makes his case very well indeed with facts, quotes and statistics. I heartily recommend this to anyone with an interest in US history. 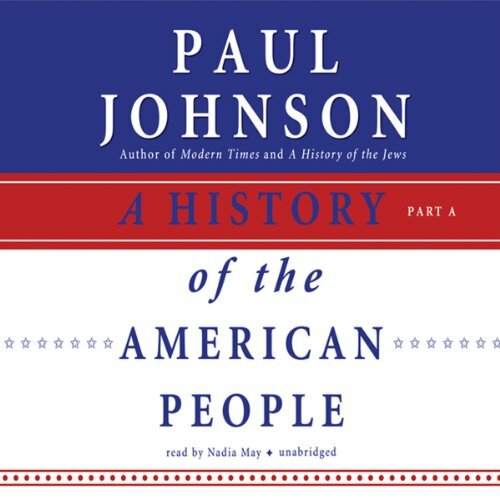 I am a longtime fan of American History and Paul Johnson's "A History of the American People" is the most insightful and as well researched as any I have encountered. I can recommend this book as an excellent source for the novice and advanced connoisseur. In addition the book is very entertaining and engaging. I have to say, I was delighted to read in his preface that his (Johnson's) academic peers in England remarked "what is there to write about the history of America, there is no history whatsoever there...". Well, this Englishman, and the English Narrator Nadia May, create a story of American History that for me, was fascinating. How hard it must be to find a bearable narrator for a 47 hour book? Nadia May pulls it off with her delicious English accent (that I can understand easily) and slightly gossipy tone -- it's like hearing someone recite The National Enquirer of histories. It's that interesting. I listened to it during my 90 min commute time daily. It made the time fly by -- in fact, I often felt disappointed about turning if off when I arrived at work. There is so much information presented that breaking it up that way afforded me the chance to absorb some of the exhaustive details and circumstances. But it does not read like a text book. Some reviewers grouse about his modern history (such as Nixon) devolving into opinion rather than fact -- I have to agree, and I am humored that his accolades for Newt Gingrich will hound his academic career like a drunken night out captured in the tabloids. It's a Lindsay Lohan moment in the hallowed halls of Oxford! 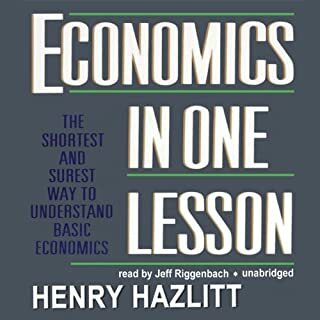 I am not a conservative and I didn't see that bias until the end of the book. (Isn't it a relief to realize that the meticulous, nearly inhuman effort to compile this enormous body of information into something readable confirms that even Johnson is human.) I forgive him his trespasses. About me -- I hated the subject of history and through some karma of the universe my high school history teacher taught current events instead - whew - missed the bullet with that one. No history in college so basically I was completely ignorant in this area -- and I wasn't a stellar academic student anyway. So if a person of very ordinary intelligence can enjoy this, who can't? I just want to say "thank you" to Paul Johnson for letting me find such deep enjoyment and appreciation for the story of our country. Takes Forever, but Worth It! It takes a long time, but it's worth it. The downloading was difficult (the CD's didn't burn in perfect sequence -- next time I get something this huge I'll download one volume at a time instead of trying to do it all in one sitting). It kept me going for months but it was so interesting I couldn't abandon it. Johnson's approach is not strictly time-sequential: he goes from one theme to another within the framework of time sequence. It makes a very interesting, analytical journey through American history, generously laced with anecdotes and character analyses that I never heard before. As a Brit, he has insights we don't have, and takes a longrange view that is refreshing to hear. Johnson gives us a pro-American history of our great country. Finally, a book that does not condemn the U.S. due to her many, past wrongs. The overarching tone is optimism. Whether Johnson is discussing race relations, women's rights, industrialization or immigration, he obviously admires our nation(Johnson was born and educated in England)! Nadia May gives a crisp and lively reading which just adds to the listeners experience. This book is well written. History is told in a perspective not told in any school I ever attended and was refreshing. I listened to every hour of it and might even listen to it again in a year or so. The narrator has an english accent which made for easy listening. Loved the speed and how the time periods and people were covered. I am not a big history buff but I really enjoyed this listen. A History of the American People is a facinating account of American history. My daughter was the one who purchased this Audible text for a class she had taken in college. I listened to every bit of it on my Ipod while driving to and from work. It was great company during rush our traffic. I was spelled bound to my car's speakers after I had arrived at work. I learned many interesting facts that my teachers had never told me. I enjoyed it thoroughly. The author, Paul Johnson, is truthful in his retelling of events as he represents America's flaws, but balances them with the positive results of our culture. Brilliant light in a sea of darkness! Simply breathtaking. 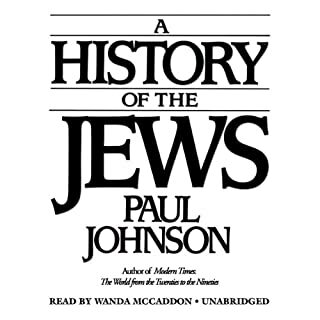 Johnson eviscerates the cancerous pablum spawned by the anti American Howard Zinn to tell a story of a people making their way in the world, often making mistakes and failing, but far more often succeeding brilliantly. Johnson, unlike Zinn, clearly recognizes the fundamental goodness of the American people writ large, and the extraordinary positive impact the United States has had on the world. It’s not that Johnson doesn’t recognize or address America’s failures and imperfections, he does, but he recognizes them for what they are, the human frailties of a people - individually and collectively- actively working to create prosperity and make their lives better. They don’t always succeed, but they certainly do more often than not, and the planet as a whole is far better off for it. At the end of the day, as a result of the American constitution, the individual liberty it protected and free markets and capitalism, the United States has driven more prosperity and freedom for more people around the world than any nation or people in history...Johnson tells you their story. This lengthy overview is astoundingly informative, but cannot be anything more than an overview. I recommend it highly to get a broad picture of American history. Johnson has two biases about which he is relatively frank: he is slightly snobby and traditionalist, and he is relentlessly revisionist. I don't agree that America is lessened by its departure from older norms of elitist education and religious morality. 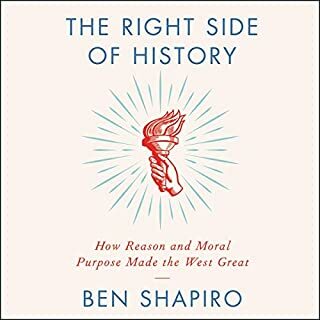 His attempts to disprove modern historians, while usually enlightening - it is nice to hear the other side of the story about heroes and villains alike - can be outright deceptive. I make no claim of expertise on American history, but I can cite one outright lie in this work: he claims that Nixon's Whitehouse engaged in no more spying and wiretapping than his predecessors'. Isaac Walters' biography of Kissinger clearly states the changes made in the FBI which expanded domestic spying operations, and specifically names the few people Kennedy and Johnson spied on, and the much greater number of people Nixon spied on. I am for exposing the intellectual weaknesses in typical scholarship, but wonder how many things were twisted in areas I knew nothing about. That said, these inconsistencies are a tiny flaw in what is otherwise a magnum opus on our great nation.